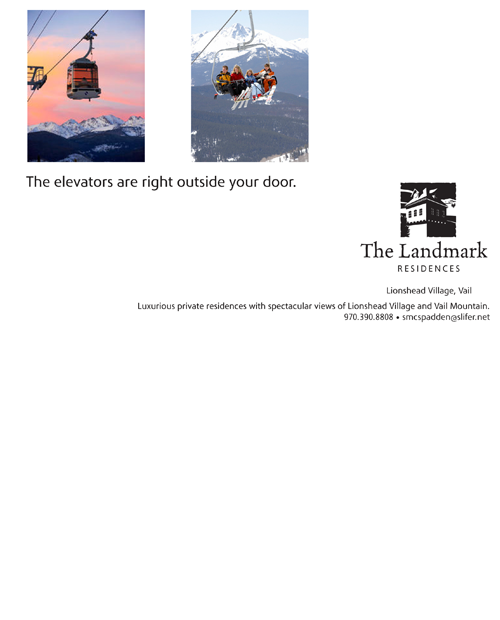 A spectacular renovation at the Landmark Lodge was part of Vail's New Dawn - a Village overhaul in Lionshead Village Vail. With the new "Vail Square" complete, these new residences at the Landmark became part of a marvelous new destination for Vail visitors. In Vail, location is king, and being steps from the Eagle Bahn Gondola and the Born Free Express lift make these homes as attractive as the views. The charge was to create a theme that would resonate with real estate shoppers and graphic designs that would appeal to a youthful, adventurous, high-end buyer. These 11 luxurious homes are offered by Slifer, Smith & Frampton Real Estate. 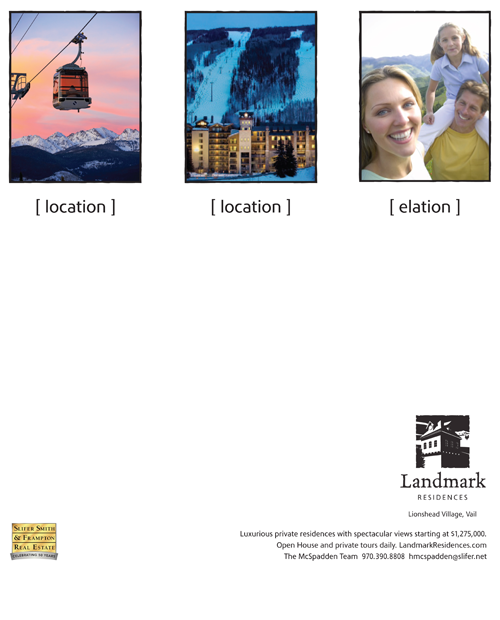 Vail, Colorado's premier realtor. Landmark Residences. Lionshead Village Vail. 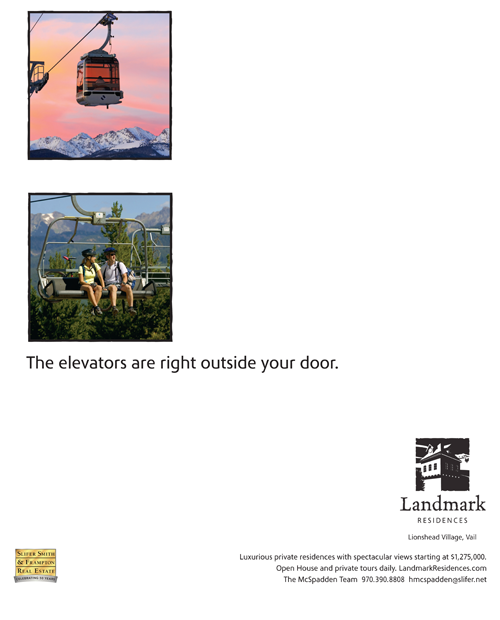 Happiness is a landmark location in Vail.